Soundcraft has unveiled the latest addition to the Vi range of digital live consoles, the Vi2000. They say that this feature-rich console brings unparalleled mixing power to the live touring, install and corporate AV markets in a cost-effective, single-box package. The Vi2000 combines the unique Vistonics-based control surface of the highly successful Vi3000, Vi5000 and Vi7000 consoles with Soundcraft® SpiderCore, a powerful integrated DSP and I/O engine based on Studer by HARMAN technology. 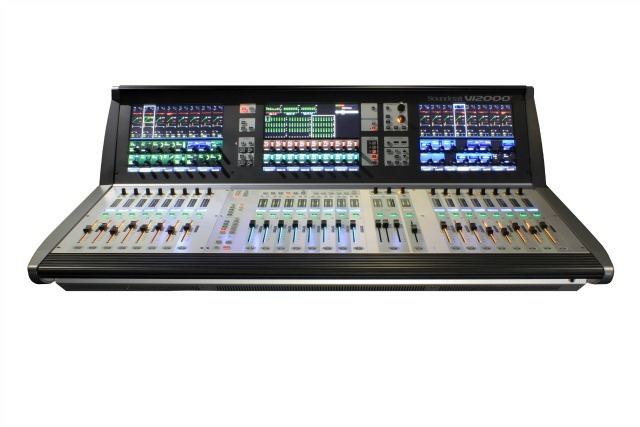 "For touring or installations, the Vi2000 is an amazing console that includes everything today's engineers are looking for in a compact digital console," said Andy Brown, Product Manager, Tour Mixers, HARMAN Professional Solutions. "The technologies integrated into the console put the Vi2000 on the leading edge of sound quality, control responsiveness and complete digital connectivity." The Vi2000's sound quality is assured by Soundcraft SpiderCore – a 40-bit, floating-point DSP engine that mixes FPGA and DSP technology in a unique combination that maximizes I/O routing and DSP mixing capability in a footprint small enough for inclusion within the control surface.